A below-knee or trans-tibial prosthetic is used for any amputation transecting the tibia bone or a congenital anomaly resulting in a tibial deficiency. An amputation, especially at any level below the knee does not usually present a particularly disabling condition. With modern prostheses and treatment methods, below-knee amputees who have no complicating medical problems can do most of the things he or she could do before amputation. 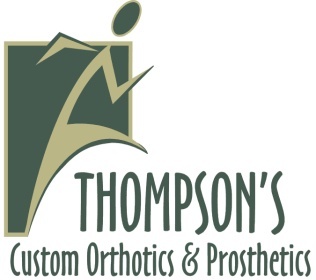 At Thompson’s we take great care in making sure that all of our patients who require the use of a below-knee prothesis are pleased with the fit. Whether the patient is receiving their first prothesis or replacing an old one, we work with each patient every step of the prosthetic process to make sure their prosthesis fits their needs and lifestyle. Click here to watch the informative video regarding care and use of the Alpha Liner.